Aura Condos at College Park is a condo development by Canderal Residential. 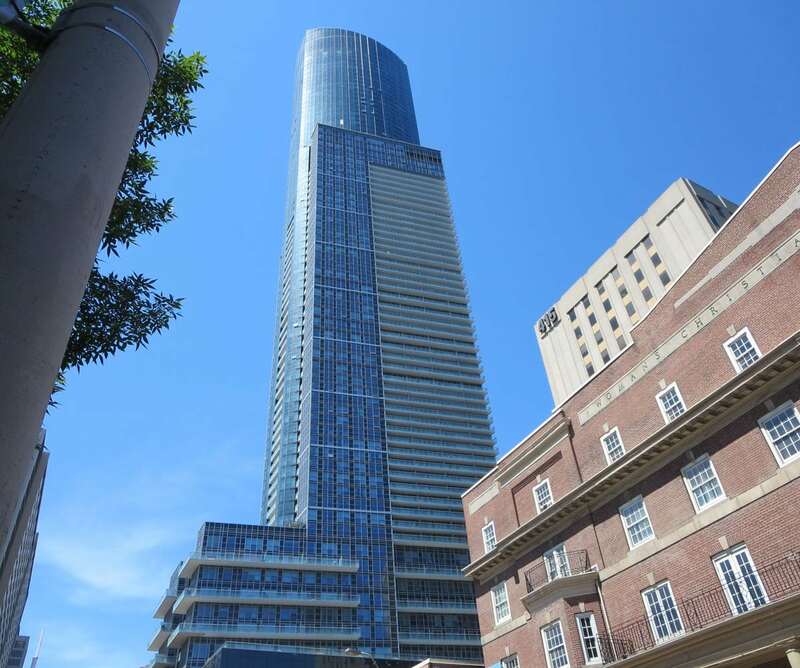 Aura Condos is located at 386 Yonge St, Toronto. The famous Aura at College Park is known to be Canada’s tallest condominium. Over-viewing downtown Toronto skyline, Aura stands 78 storeys high and is an iconic building for nearby residences. The integrity of the building design is superb. Combining glass and granite, Aura Condo at College Park has a futuristic yet elegant exterior. Amenities at Aura including gallery, fitness centre, guest suites, billiard room, cyer lounge, kitchen, party rooms and more. The 3 storey podium at street level has over 130 stores including Bed Bath & Beyond, Cafes, more. There’s also a park adjacent to the building.